Raphael Independent is a small independent school that offers continuity of education from ages 4 to 16. They build on the best of traditional values and embrace the educational opportunities of the 21st century. 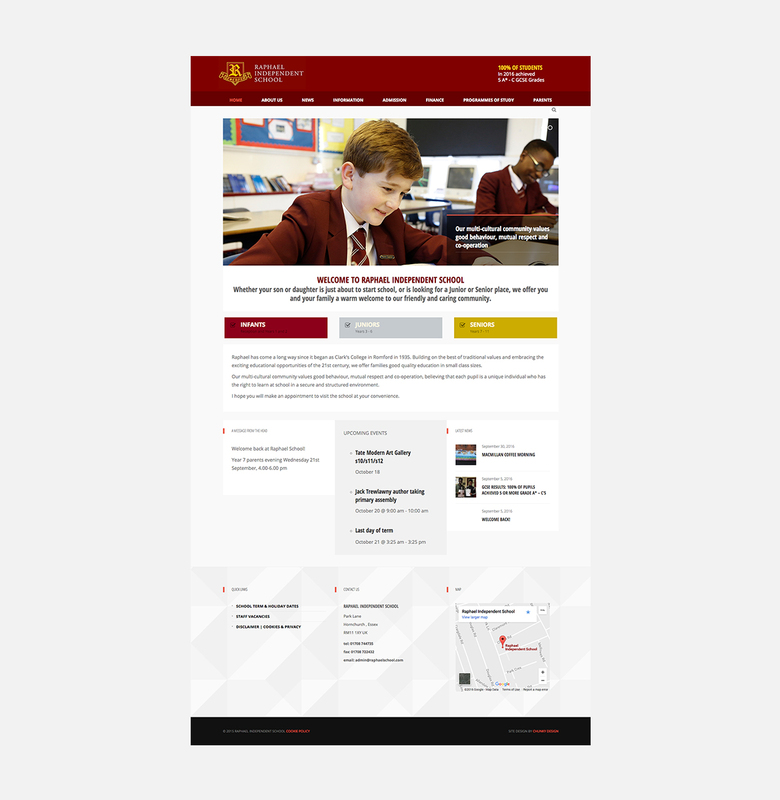 The initial brief was to redesign the current school website, bringing it up to date in terms of information and design. As with any new development we thought it would be sensible to ensure that future growth requirements are captured from the outset. 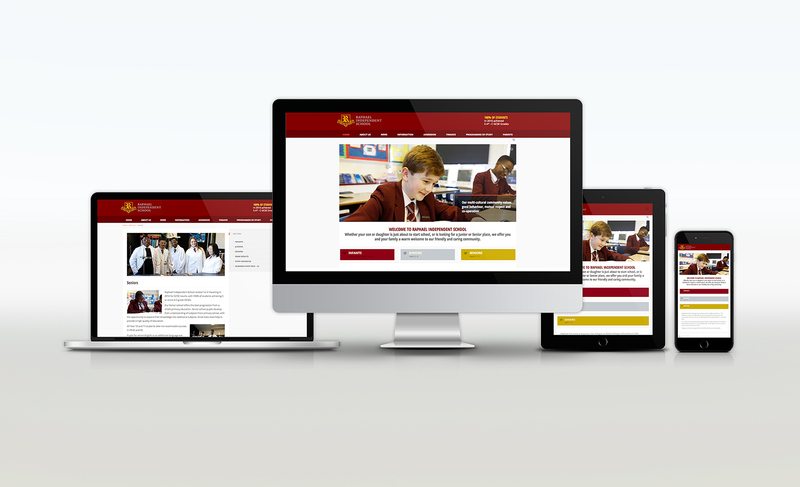 We produced a website in WordPress which is easy to maintain and update by key staff members. The original site had a lot of duplicate pages and pages not in a logical structure. We restructured the content for better user experience and Search Engine Optimisation.